It appears our mighty leader has finally turned from a real boy into a puppet. 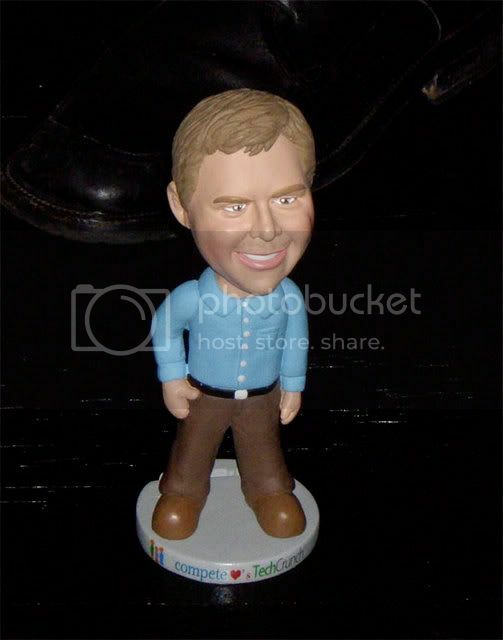 Compete.com awarded young Michael this charming doll last night at TC 8 in New York. I’ve been assured more pictures are forthcoming.